And now…the moment you’ve all been waiting for…. 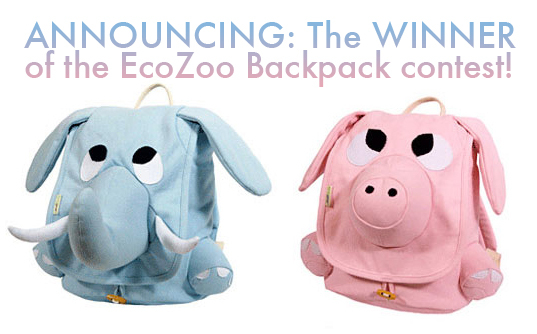 You are the winner of our Ecozoo backpack giveaway! We’ll be contacting you personally with the good news! Thank you to everyone who entered our back to school giveaway. We were inspired by all of your thoughtful responses and wonderful ideas on how to green your children’s school year regimen! You all get an A+ in our book! Stay tuned to Inhabitots for more great, green giveaways to come!